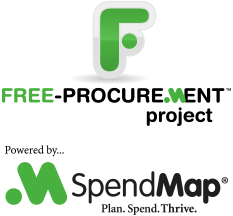 The 2013 Release of SpendMap is here, with Windows 8 support and around 20 other new features. So if you’ve been waiting for Win8 support before downloading your Free Purchase Order Software, the wait is over. You can download the 2013 Release here. This is for new installations only and cannot be used to update your system if you’re already using the Free version of SpendMap (the 2012 release). For those already using the system, we are working on an update utility to bring your system forward to the 2013 release. The update utility will retain all your data/history, so you won’t lose any of your work when you upgrade. Just follow this blog to be notified when the update utility is ready, which we expect will be in the next couple weeks. We also made the 2013 release more firewall and proxy server friendly and reduced the frequency that the system checks for updates, so if you had any trouble getting it going before, you might want to give it another try now. If you need any help, please use our free Support Ticket System.